Justin Quintal and Chloe Calmon have taken out the opening event of the 2019 WSL Longboard Tour, the Noosa Longboard Open. After 4 massive days of action surfed at 3 different locations around Noosa, Queensland, the pair took victory in clean 2-to-3 foot peaks at Castaways Beach. The pair are now number one ranked surfers in the world on the revamped WSL Longboard Tour which comprises of four events – Noosa, Queensland, Pantin Spain, New York City and Taitung Taiwan. These events will decide the eventual 2019 WSL World Longboard Champions. Chloe Calmon has finished just short of a world title a number of times in her young career but hopes that in 2019, she can go all the way. The 25-year-old Brazilian longboard prodigy has all the makings of a Champion but not yet the silverware to match it. Today Calmon got her 2019 campaign off to the perfect start with a dominating performance over Honolua Blomfield in the Final. Calmon believes that the revamped WSL Longboard Tour with new locations and format could put her in a better position than she’s ever been to take WSL Longboard glory. Pictured: 2019 Noosa Longboard Open winner Chloe Calmon with a super stylish drop knee carve. In his first WSL event in almost five year’s Floridian Justin Quintal surfed through eight rounds at three locations including First Point, Main Beach and Castaways. Quintal posted excellent sores all the way to eventually set up a Final with reigning WSL World Longboard Champion Steven Sawyer. After a boundary pushing performance in his Semifinal, it seemed as if he had peaked too early leaving Sawyer to lead the Final for its majority. Fortunately for Quintal, he found a long walling left and rode it perfection, combining drop knee cut-backs with some long hang-tens through the critical sections to take the lead and clinch victory. 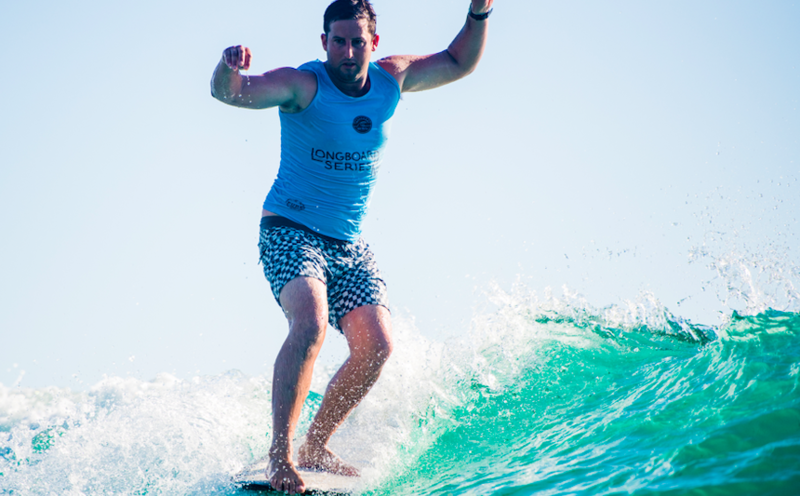 Pictured: 2019 Noosa Longboard Open winner Justin Quintal puts his toes over the nose. 2017 WSL World Longboard Champion Honolua Blomfield has been a staple at Longboard Tour events since she was in her mid-teens and has achieved so much in such a short time. The Hawaiian native seems as if she was born to ride a surfboard, short or long, and although she came up just short at Noosa, Queensland, Blomfield is sure to be up on the podium for years to come. 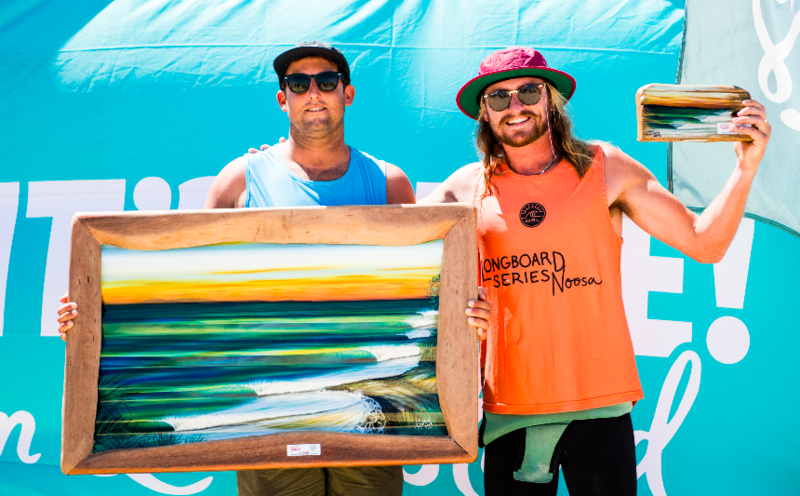 Pictured: 2019 Noosa Longboard Open winner Chloe Calmon chaired to victory. Reigning WSL World Longboard Champion Steven Sawyer’s relaxed domina makes him one of the Longboard Tours most liked characters, but don’t be fooled as once he pulls on the contest jersey, he is as competitive as anyone. With this in mind, the loveable South African is over the moon that in 2019 he will have four events to mount his campaign on back-to-back world titles. On his way to the Final, Quintal overcame local favourite Harrison Roach in what was by far the heat of the event. The pair, who are not known for surfing in WSL event’s, but for their flair and style on single fin logs, traded excellent scores, each using a combination of smooth carving turns, time on the nose and stylish footwork. Roach finished the heat with a 9.07 (out of a possible 10) in his 17.77 heat total while Quintal only just pipped him with a 17.93 heat total. All of the scores in this heat both single wave and heat totals were the highest of the entire event and was an incredible display of the world’s best longboarding. 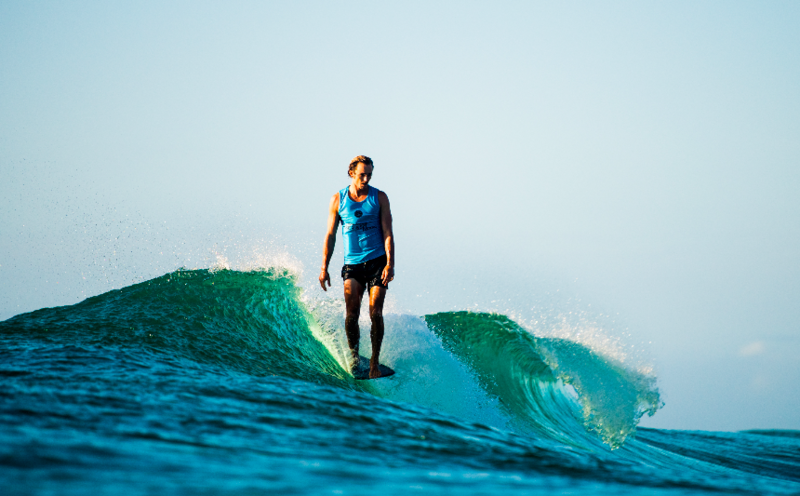 Pictured: Local favourite Harrison Roach (AUS) putting on an amazing perfromance at the 2019 Noosa Longboard Open. The WSL Longboard Tour Competitors will now set their sights on the Galicia Longboard Pro which will run in Pantin, Spain from August 28 – 31. For more information head to www.worldsurfleague.com or check the free WSL App.